The Midget is finally painted and we’ll be showing more pictures of the painting process (and revealing the color) in the next issue of Classic Motorsports. In the mean time, here are some pictures of the priming/prep process. 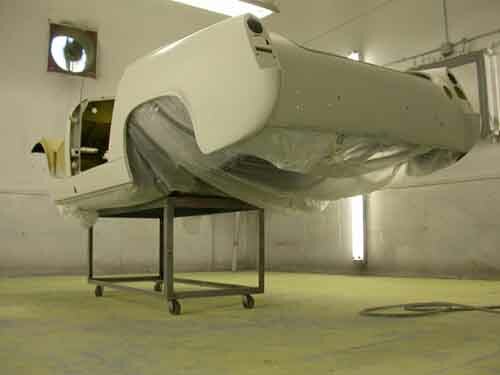 The entire car was sprayed with either PPG K36 high-build primer or PPG self-etching primer. 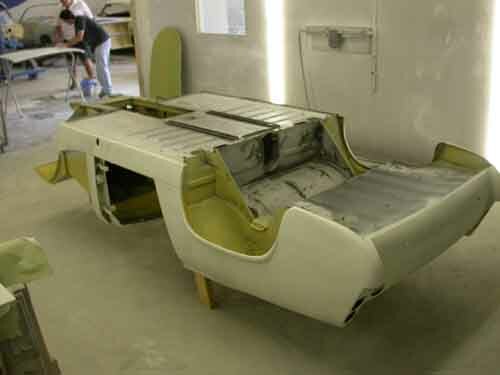 The car was flipped upside down and was sprayed with PPG DP90LF epoxy primer, followed by 3M rubberized undercoating. The Midget is Finally Painted!